This was originally posted on September 22, 2014. It's done! After 6 years of growing a debt monster, and 3 years of attacking it with payments, I can finally say that I have paid off all of my credit card debt. When I made that first swipe I don't think I knew how much it would affect my life. Living with credit card debt that I could not afford cost me a lot of stress, worry, and unnecessary cash. Yes, it was expensive to be in debt. At one point I had a 24% interest rate on a credit card with a large balance. I knew that I wanted to not only get rid of the debt, but set myself up for success in the future. I've seen friends eliminate debt and fall into the same habits and patterns that caused the debt in the first place. I knew that if I learned how to use credit wisely that it could become a friend and not a foe. So with that in mind, here's what I did to tackle $22,000 of credit card debt. Firstly, I set a date. I decided that I wanted to pay everything off within three years. That made it easy to figure out how much I wanted to pay towards my debt with each check. I chose to go with a consumer credit counseling service. They negotiated lower interest rates with my creditors so I could pay the balances down immediately instead of wasting money on interest. However, that meant that I had to close all of my credit cards and not open a new line of credit. Closing credit cards with a large balance can hurt your credit score. My credit score was already shot so that really did not matter to me. Getting rid of debt mattered more. But be honest with yourself. By cheating and using your cards while paying them off you are only hurting yourself. Secondly, I committed to using all cash. I knew that I was addicted to using credit and there was no point in trying to get out of debt while I was still using it. I had already gotten rid of all of my credit cards and I created a budget that would allow me to use only cash. I maxed out my budget categories in saving and left myself with enough cash to cover my essential expenses. That includes housing, food, and clothing. After shopping for 6 years straight, I'm pretty sure I had all the clothing that I needed. I also left myself a small cushion of about 50 dollars per paycheck. This money was not for anything specific and it gave me a feeling of space. Speaking of shopping, I knew that I had to mentally change the way that I handled money, credit, and debt. During the first few months, I started to teach myself how to distinguish needs versus wants. I prevented myself from impulse shopping with a simple rule. If I wanted to purchase something that was not on my shopping list or was not a part of my intended trip, then I was not allowed to buy it. I defined a need as something that would help me either budget better, save or invest better, or something that I would use each day for a purpose. Fancy 70 dollar electrical toothbrush? Not ok.
By curbing my impulse shopping and learning to use money for needs instead of just wants, I created better balance in my spending. Finally, I was honest with myself. I didn't try to live super frugal or put all of my extra cash towards my debt. I knew that if I simply stuck with my plan, I would have everything paid off on the date that I self-imposed. I still traveled, dined out with friends and put money towards investing and saving. This was very important for me. As a person with a financial background, I understand the importance of compounding interest. I used time to my advantage. Looking back at the returns of the last 3 years, it was the best decision I could have made. I contributed to my employer sponsored 401k up to the match. I opened an automated passive investing account. I also saved an emergency savings fund so I could avoid going back down the credit hole when emergencies came up. I know you can do it too! I think you find yourself lacking in motivation because you are allowing the debt to take over your fun. Don't restrict yourself to the point where you hate budgeting. Start with a small 'fun budget' and allow it to grow as you pay down debt. Are you in the process of paying down debt? What tips would you share with others? Here's how I used a debt management plan to conquer my debt. One of the most important tools in my pay off debt plan was a service that helped me create a three year plan to pay off the debt. I found the consumer credit counseling service through a friend of mine. She had used the service to pay off her debt and she also improved her credit score in the process. I decided to check them out and I set up an in person meeting to discuss my debt and plan goals with a counselor. The counselor also helped me create a budget and managed the details every step of the way. The service I used subsequently merged into ClearPoint Credit Counseling Solutions and I completed my debt management plan with them. 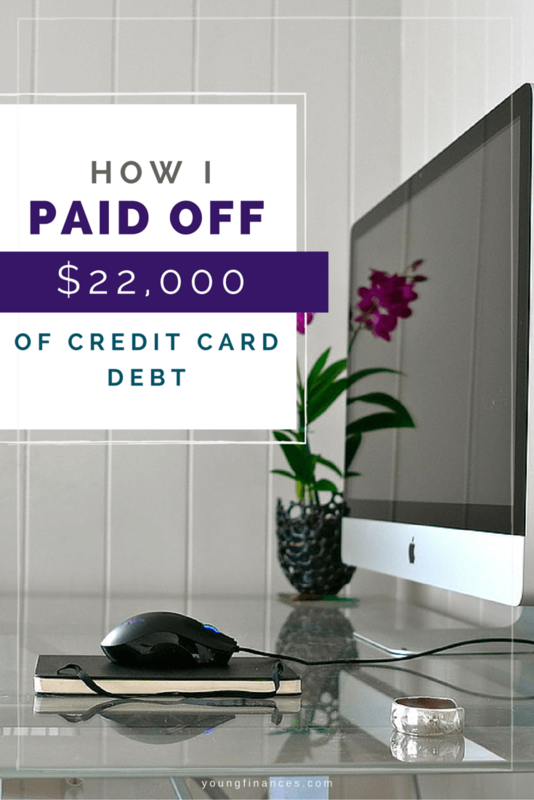 Here's how I paid off $22,000 of credit card debt in three years and how you can do it too using a debt management plan. The first step in starting a debt management plan involves gathering all of your records. You will need your latest credit card statements, which should include the address to send payments. You will also need to make sure that you include all of your creditors in your debt management plan. I was able to exclude my car loan, but all of my other creditors were included. I had to track down a few statements since some of my credit cards had fallen into collections. Once I had everything, I was ready to start my debt management program. If you are getting debt collection calls, don't be afraid to answer them. I simply answered each call and let the creditor know that I was working with a credit counseling service. I also made it a point to contact my counselor about any changes to payment addresses, or other changes. She kept up with everything and that made things really easy on me. However, they did all of the negotiations for me, getting fee concessions, and negotiating most of my interest rates down to zero. As you are paying off your debt, you may feel tempted to overspend or stop your payments to spend the money elsewhere. 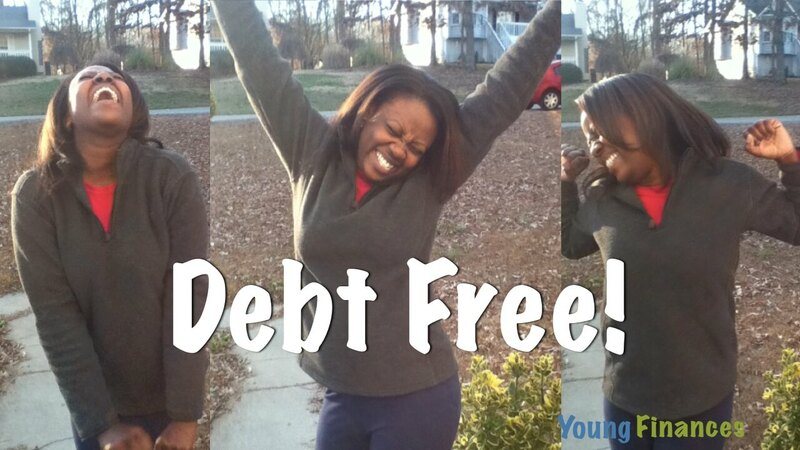 Trust me, the three years will fly by quickly and you will be so happy to be debt free afterwards. Instead, create a budget along with your counselor to help you stay on track. I used the budget that they provided to help me get started and then as I learned what works best for me, I created my own budget with room for investing in my employer sponsored 401k plan. Doing this allowed me to take advantage of free employer match money and invest in the markets. The process of paying off debt can be very difficult but with the help of a credit counseling service like ClearPoint, it can be much easier. How about you? Have you used a debt management plan to pay off debt? This is my personal experience with ClearPoint. ClearPoint is a trusted partner. Please see our disclaimer regarding trusted partners.